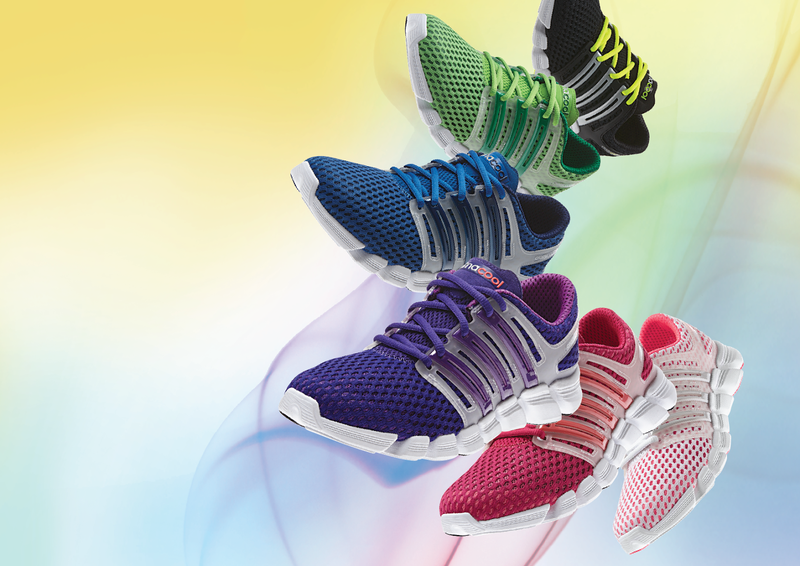 adidas CRAZYCOOL Features Climacool® Technology Plus Much More! In case you haven't gotten the hint yet: I frickin' love adidas! Haha. To be honest, I never post anything on my blog that I don't like. So, after seeing the amount of published blog posts I have on adidas, my love for the brand should be pretty evident by now. I really can't help it, though. After all, they always come out with such gorgeous new lines. Just check out the new adidas CRAZYCOOL line, which is perfect for the next generation of runners who value maximum flexibility, breathability and comfort. I'm no professional runner, but I still want them in every color!!! Haha. Is that crazy? The adidas CRAZYCOOL line is also constructed to create the ultimate freedom for the movement of your feet, featuring anatomical flex grooves that facilitate smooth transition while running. The adidas CRAZYCOOL line is available in a wide range of colorways and retails for Php5,495 in adidas Sports Performance and retail stores, including their Fort branch. I'm using the pink one, super love it - very light and chic! I also have the older model, the first line launched under climacool - but in my opinion this one is better for longer runs.